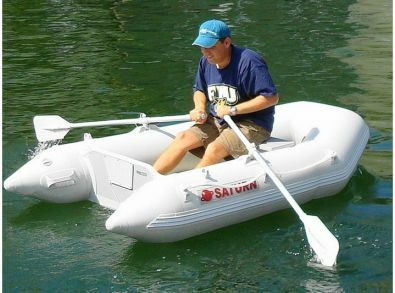 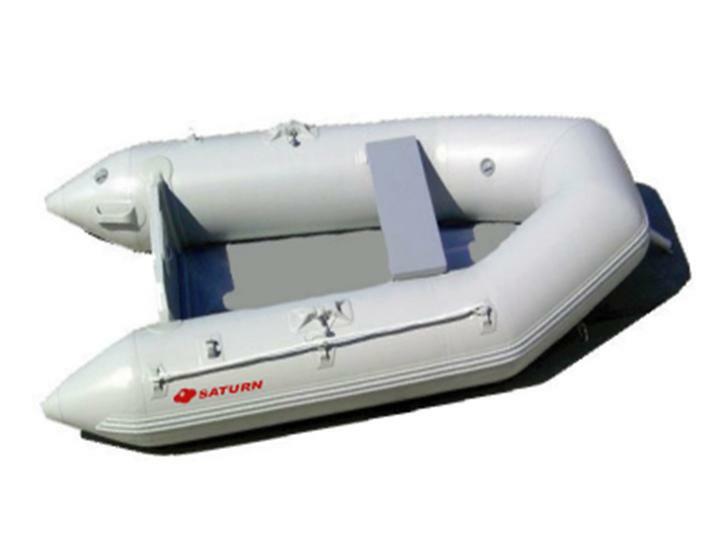 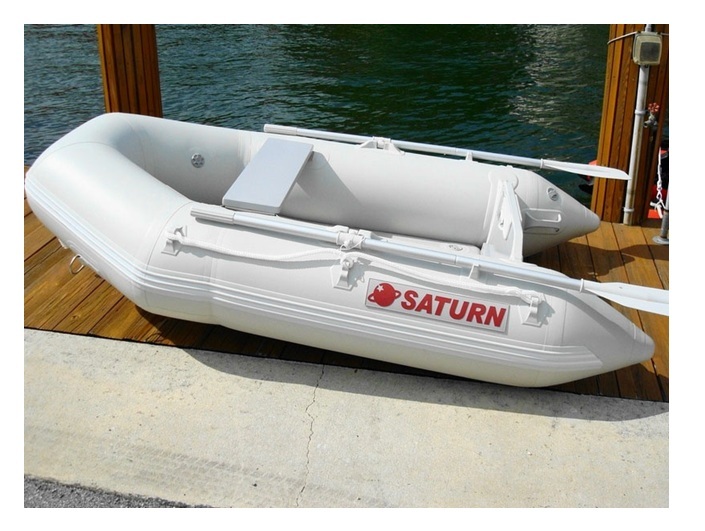 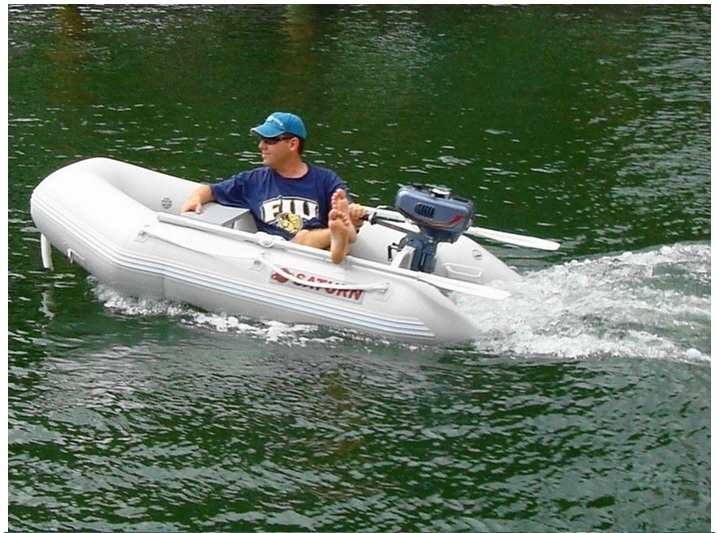 SD230 SATURN inflatable boat is excellent as a small rowing dinghy. 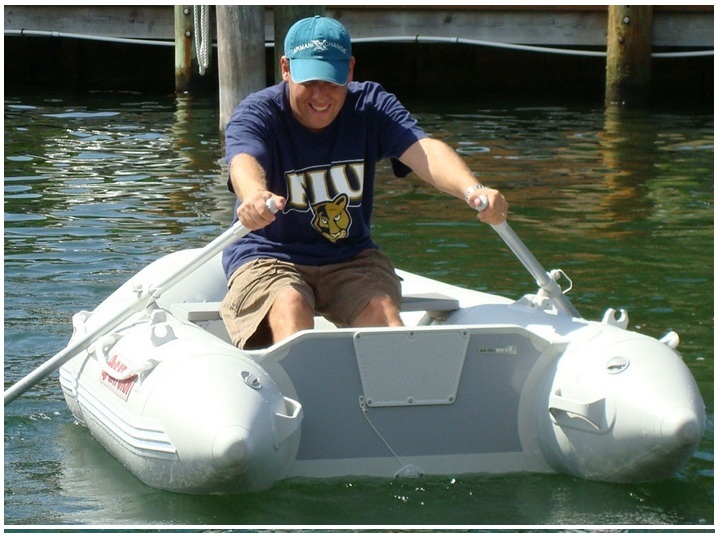 You can easily reach your sailboat or go for the day of fishing on a lake. 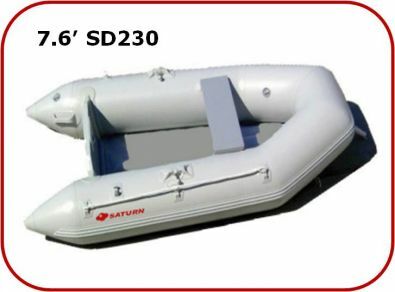 SD230 moves nice and easy when rowing, and due to the high stability of inflatable boat, it is possible to stand up for fly fishing or while boarding your yacht. "Hello I just wanted to provide some feedback. 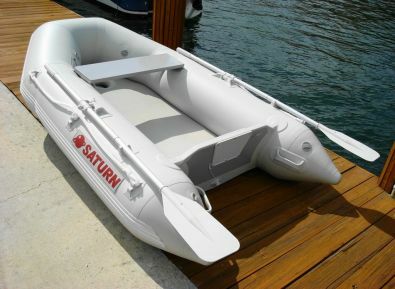 I ordered my new Saturn 7'6" dinghy and it was delivered the same day ( amazing ), this morning I assembled it (simple) and put my 2.5 hp motor on it and went for a ride in the lake. It is an excellent little boat and believe it is of high quality. 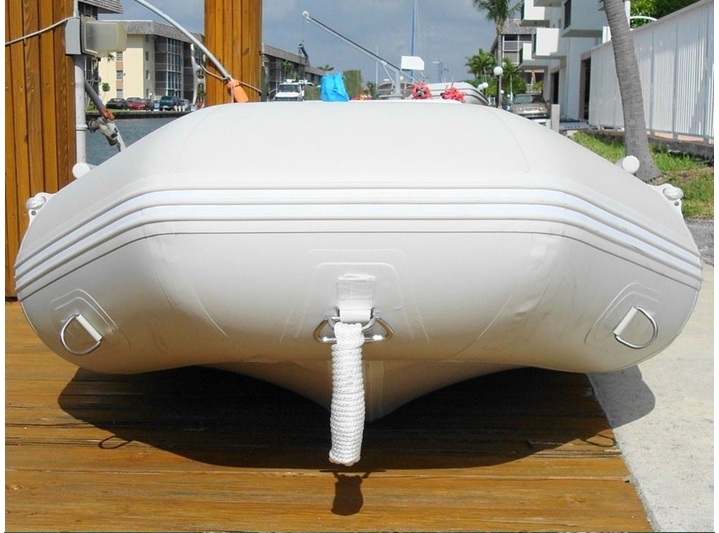 Day one very satisfied thank you for a great experience. Richard D.